#Bookreview #TuesdayBookBlog A bilingual post. Un post bilingüe. ‘The Blue Crimes’ by Enrique Laso (@enriquelaso). ‘Los crímenes azules’ de Enrique Laso. An intriguing case and even more intriguing investigator. Un caso con mucha intriga y un investigador aún más intrigante. Today I bring you a review and a bilingual post. I realised that I was taking part in a blog tour tomorrow and I didn’t want to go overboard with posts, and as I had read a novel available in English and Spanish and I had some news related to it, I thought I’d do a bilingual post sharing my review. Enrique Laso is a Spanish author I met a while back through social media and several groups of authors I know. The Blue Crimes by Enrique Laso. An intriguing case and even more intriguing investigator. 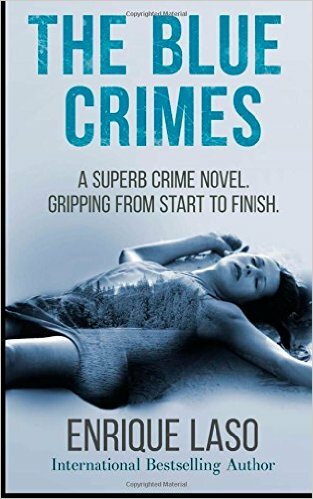 The Blue Crimes is the first book in Enrique Laso’s collection of Ethan Bush Thrillers. Ethan Bush is a young FBI agent, one of the most promising, top of his Psychology class at Stanford and self-assured, or so he seems. He arrives to Jefferson County fresh from solving a serial murder case in Detroit and expectations are running high. The story is told in first person from the point of view of Bush, and that is one of the most interesting aspects of the novel. If the actual procedural investigation, the process of solving the murders of two young girls that are very similar in details to a murder committed 17 years ago is gripping (and I particularly enjoyed the setting in small town America, with the prejudices and the difficulty understanding and fitting into the mentality of the place that it brings to the big city investigators), I found the insight into Ethan Bush’s mind even more interesting. Why? Well, he is an intelligent man. He knows it and he’s reminded of that by quite a few of the characters he comes into contact with (sometimes in great contrast with some of the witnesses they come across). His intelligence does not always help him, though. Characters who are far less intelligent than him (the sheriff, local investigators, even his mother…) contribute greatly to the success of his mission. He acknowledges and admires the morality of some people (Jim Worth, a solid character that would make his perfect side-kick and foil, and I hope we’ll come across him again in the series), but he’s not squeaky-clean and has no qualms crossing the line of the ethically correct when he thinks it’s necessary to solve a case (not strictly for his own benefit). He has weaknesses that include his irresistible attraction to Vera, one of the witnesses, but also a suspect. He is somewhat obsessive in his methodology and has to be in control of everything, to the point of preferring keeping handwritten notebooks (in Moleskin, that become his trademark) as he does not like to be dependent on technology that could let him down. And during the book, he becomes as obsessed with running as he is with everything else, to the point of putting off the questioning of suspects to not disturb his running schedule. Running means more to him than the simple exercise, but we only become aware of this later on. (By the way, I am aware that the author is a runner himself and he has written non-fiction books about it so this would add to the interest for those who are keen runners.) Despite Ethan’s constant analysing everything and thinking non-stop (to the point of getting severe headaches although they could well be psychosomatic), he is not the most self-aware of characters, and keeps missing clues and hiding stuff because of his own unresolved issues. But those issues are what make him fascinating. Ethan Bush is not the most likeable hero and has many flaws, and that is a plus for me. He is a man searching for explanations, about the case and about himself. And he never gives up. He’ll go as far as he has to, whatever that might cost him. I’m not sure how challenging you’ll find the book if you’re one of these people whose main enjoyment is working out who the guilty party is (I did guess who it was early on, but I kept wondering if I was right) but if you enjoy complex characters, a solid story and interesting dynamics, I think this series could keep us guessing for a long time. I interviewed Enrique for Lit World Interviews. Here is the link to that interview. The news I mentioned was that I am going to be translating the second novel in the series. So I’m very excited about it! Check the first one out and I’ll keep you posted on the second (that in Spanish has been a best-seller for weeks even before its release). Y ahora, en español. Quería aprovechar que he leído una novela que está disponible en inglés y español (y que he leído en las dos versiones) para compartir un post bilingüe (ya que mañana participo en un blog tour). Y tengo noticias, que compartiré después de la reseña. Los crímenes azules de Enrique Laso. Un caso con mucha intriga y un investigador aún más intrigante. 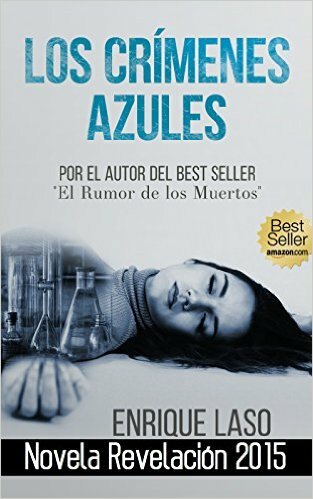 Los crímenes azules es el primer libro en la colección de thrillers protagonizados por Ethan Bush y escritos por Enrique Laso. Ethan Bush es un joven agente del FBI, uno de los más prometedores, el número uno de su clase de Psicología en Standford, y muy seguro de sí mismo, o eso parece. Llega al condado de Jefferson cuando acaba de resolver un asesinato en serie en Detroit y se espera mucho de él. La historia está narrada en primera persona desde el punto de vista de Bush, y ese es uno de los aspectos más interesantes de la novela. Si la investigación en sí y el proceso de resolver los asesinatos de dos chicas jóvenes que se parecen mucho a un asesinato cometido hace 17 años es fascinante (y a mí me gustó en particular el que la historia se desarrollara en una pequeña población americana, lo que conlleva observar los prejuicios de los investigadores de la gran ciudad a los que se les hace difícil integrarse y entender la mentalidad de los habitantes), yo encontré las revelaciones de los procesos mentales de Ethan Bush mucho más interesantes. ¿Por qué? Bueno, Ethan es un hombre inteligente. Él lo sabe y se lo recuerdan muchos de los personajes (y no todos los testigos son tan inteligentes como él ni de lejos). Su inteligencia no siempre le es de gran ayuda. Personajes que son bastante menos inteligentes que él (el sheriff, la policía local, incluso su propia madre… ) hacen contribuciones importantes al éxito de la misión. Él reconoce y admira la moralidad de algunas personas (especialmente Jim Worth, un carácter muy sólido y que podría convertirse en su mano derecha y su conciencia, y confío en que nos lo encontremos más adelante en la serie), pero no es intachable y no duda a la hora de cruzar la línea de lo éticamente correcto si cree que es necesario para resolver el caso (y no estrictamente en beneficio propio). Tiene sus debilidades, incluyendo la atracción irresistible que siente por Vera, una de las testigos, pero también una sospechosa. Es algo obsesivo en sus métodos y tiene que tenerlo todo bajo control, hasta el punto de preferir escribir notas en un cuaderno (Moleskin, que se convierte en su marca personal) porque no le gusta tener que depender de la tecnología ya que podría fallarle. Y durante el libro se obsesiona con volver a correr, hasta el punto de retrasar el interrogatorio de un sospechoso para no tener que cambiar su programa de entrenamiento. Correr significa para él mucho más que simplemente hacer ejercicio, aunque solo nos damos cuenta de ello más adelante. (Por cierto, sé que el autor es un corredor avezado y ha escrito libros sobre el tema así que eso podría hacerlo aún más interesante para gente a le que le guste correr.) A pesar de que Ethan está constantemente analizándolo todo y no para de pensar (lo que le lleva a sufrir severos dolores de cabeza, aunque también es probable que sean psicosomáticos), no se conoce muy bien a sí mismo, y se le escapan pistas y se oculta detalles debido a sus propios problemas sin resolver. Pero esos problemas son los que lo hacen fascinante. Ethan Bush no es un héroe de atractivo irresistible y tiene muchas imperfecciones, y eso es un punto a su favor, en mi opinión. Es un hombre a la búsqueda de soluciones, para el caso y para sus propios problemas. Y nunca abandona. Irá tan lejos como haga falta, le cueste lo que le cueste. No sé si los lectores que disfrutan especialmente del reto de averiguar quién es el culpable lo encontrarán a la medida de sus talentos (yo sospeché quién lo era bastante temprano, aunque la novela me hizo dudar muchas veces) pero si disfrutáis de personajes complicados con relaciones interesantes y una historia bien escrita, creo que esta serie tiene el potencial de engancharnos y mantenernos en vilo por mucho tiempo. ¿Y mis noticias? Pues que voy a traducir la segunda novela en la serie (publicada el 7 de Noviembre) Los cadáveres no sueñan al inglés. La novela lleva varias semanas en las listas de best-sellers, y eso es antes de su publicación, así que tengo muchas ganas. Os mantendré informados. 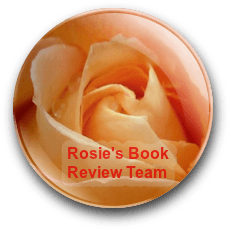 Thank you to Enrique Laso for his book, thank you all for reading, and please, like, share, comment and CLICK! Gracias a Enrique Laso por su novela, gracias a vosotros por leer, y por favor, dadle al me gusta, comentad, compartid y haced CLIC! 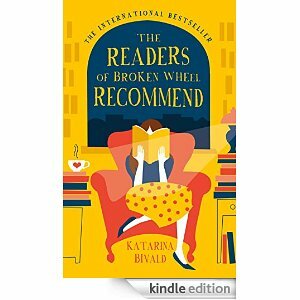 My break away from the blog is coming to an end, but as today I was travelling back to internet land, I decided to share a review of one of the books I’ve managed to read while I was away (I’ve done a fair amount of reading so I’ll keep sharing some of the reviews for the books I’ve read regularly). And hopefully the regular features and other things should be coming up soon. You might remember I shared the review for the book The Eagle in Splendour about Napoleon’s court not very long ago and I told you I was hoping to read more books by the same publishing company I.B. Tauris. 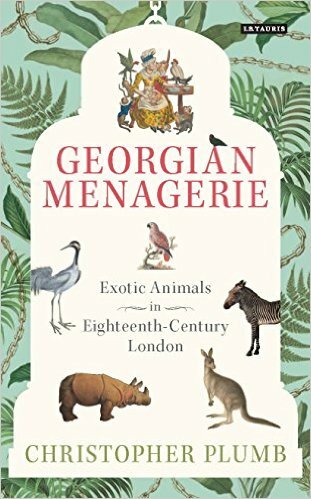 When I saw the book The Georgian Menagerie and read the description, I knew I had to read it. And I was right. Here I leave you the review and my heartfelt recommendation. 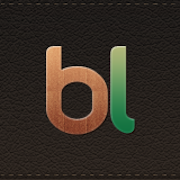 My thanks to I.B. Tauris & Co. and Net Galley for providing me a copy of this book in exchange for an honest review. This is a fascinating book. I’m one of those people who find the history of the good and great all very well but I’m more interested in what everybody else and society at large was up to while the battles and big political debates took place. And the more curious the topic and the angle used to shine a light on an era, the better. Christopher Plumb’s choice of topic works well on many levels. Most of us have been fascinated by animals when we were children (and into adult life, whether we admit it or not), and the more exotic to us, the better. Imagining a period in history when many westerners would have never seen a parrot, a kangaroo, or a lion, might be difficult now, but it wasn’t all that long ago. The circumstances of the exhibition and sale of many of these animals provide a fascinating insight into human curiosity, enterprise, and society. And it goes from the Royals to the people who would manage to get a few shillings to pay for a ticket to see the latest attraction. If not everybody could afford their own aviary or menagerie at home, towards the end of the era canaries were affordable by many. The topic is well-researched, with beautiful illustrations of the period, references and footnotes for those interested in further enquiry, but it never becomes arid or tedious. This is not a list of sources and data. The era, the personalities of the merchants, anatomists, and even the animals are brought to life through anecdotes, fragments of poems, songs, newspaper articles, letters…Although readers might not share the point of view and feelings of the people of the period, it’s easy to imagine being there and looking on. We learn about the uses of bear grease, civet as perfume, turtle feasts as symbols of power, eels and sexuality, parrots and jokes about women, Queen Charlotte’s zebras and the jokes to follow, the prices of animals and tickets in relation to salaries, the opinions of the general population about their monarchs, sexual mores and allusions, famous elephants, sickly giraffes, lions roaring in London’s Strand, the Tower of London menagerie, and how all changed with the arrival of the Zoological Garden at Regent’s Park. Christopher Plumb draws interesting conclusions (or rather guides the reader to notice certain things) that emphasise how the external manifestations of human nature might change, but at heart, perhaps we aren’t that different from our ancestors and we’re not as enlightened and modern as we’d like to think. This book can be enjoyed by all readers, even if they don’t know much about the Georgian period of English history (also referred in the book as the long eighteenth century), but I think it will be an invaluable resource to anybody studying or researching the era, as it provides vast amounts of background and information (without seemingly doing so) from an unexpected angle, and many of the anecdotes could become full stories in themselves. Vividly described, each chapter can be read individually for specific research purposes, but I feel the whole is much more than the sum of its parts. A book that will keep me thinking for a long time. 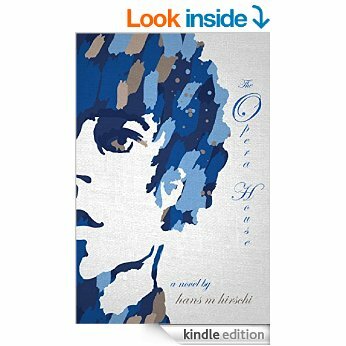 Although I read an e-book version, the links are to the hardback edition, as the final e-book version is not available yet. Thanks so much to Christopher Plumb for his book, to I.B. 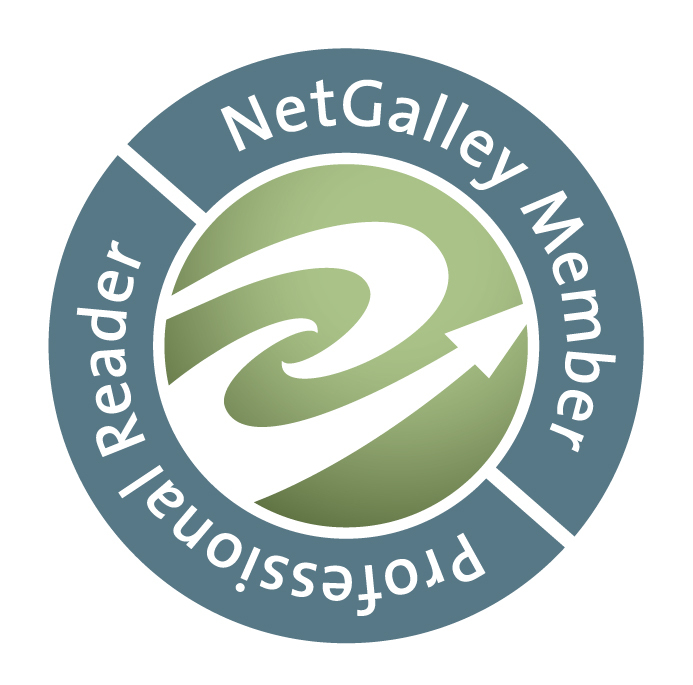 Tauris and Net Galley for providing me an advance copy, thanks to all of you for reading, and if you’ve enjoyed it, like, share, comment, and CLICK! And thanks for your patience! 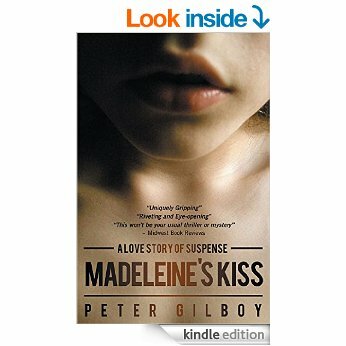 #BookReview ‘Madeleine’s Kiss’ by Pete Gilboy. Confession as artistic creation. This is another one of the books I picked up in Net Galley based on the comments and the intriguing description. “I didn’t do anything to Madeleine. I’m a noted professor, for God’s sake! Of course I Iiked her. How could I not? She was so sweet and southern-charming and girlish. Innocent and crazy, and delightful to be with. “I helped Madeleine, that’s all. Yes, I know she’s missing now, but I can explain that. I can explain everything. I can even explain the devastating kiss, and what happened right afterward. I think it’s actually beautiful what happened to Madeleine. I didn’t hurt her at all. “But even my lawyer didn’t believe me. That’s why I’ve to say it all right here. Adam Snow says he didn’t do it. reveals the truth about Madeleine. And here my review. A word of warning, I go on a bit. Thanks to Net Galley and to Dogear publishing for providing me a free copy of this book in exchange for an honest review. Choosing the point of view a story is written from must be one of the most difficult decisions, when it comes to writing. There are some books that one suspects may not have worked if written in any other way. And sometimes we wonder if others wouldn’t have worked better if someone else had told the story. And oh, the horror, the horror of the inconsistent point of view. I have always been intrigued/fascinated by narrators. And that most interesting and talked about of all, the unreliable narrator. To my mind, even if you have the most detached of scientifically-minded experts telling you a story, there will always be something personal in the telling. The Madeleine the narrator tells us about is a fascinating creature. Perhaps deranged, with a huge imagination, or, as she believes, quite special. She is on a journey to try to find another woman, Rosa Lee, a long-lost relative, and another fascinating character, whose story we only know through fragments, incomplete documents, and stories that might be real or not. How and why Adam gets involved in her journey forms much of the body of the story. Adam’s voice is at times self-deprecating, at times defiant, but always fully aware of what others might think of his version of the story. He intersperses his recollections of the actions with comments about the past (as a justification for how and why he does things), about what is going on currently, and with works of art (his favourite artist is Georges Seurat) that open each chapter. Although Adam appears to be an example of the saying “those who can’t, teach”, he is enough of an artist to create a story, beautifully written, to justify his predicament. If we believe him or not it’s up to us, although perhaps ultimately irrelevant. He is not the most sympathetic of characters, but his way to tell the story intrigues us enough to makes us want to keep reading until the end. The novel reminded me in certain ways of We Must Talk about Kevin although I felt much less personally involved and there is no final great revelation. And if the narrator in Kevin might be completely unaware of her biases (even manipulation) when telling the story, there is no doubt that Adam knows full well what the readers might think. Peter Gilboy creates a fascinating novel where facts are the least important part of the story and where an artist is born, even if not, perhaps, a painter. This is not a whodunit kind of thriller, but rather an imaginative novel, not fast-paced, but a great psychological portrayal and a game of cat-and-mouse, but not with the possible victim, but with the readers. 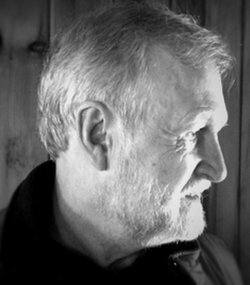 Peter Gilboy is an author to watch out for. Thanks so much for reading, and if you’ve found it interesting, like, share, comment and CLICK! I hope I’ll be back with you live soon! Today I bring you the review of a book I really enjoyed. It’s very quirky. I hope you like it. Nine-year-old Milo Moon has retinitis pigmentosa: his eyes are slowly failing and he will eventually go blind. But for now he sees the world through a pin hole and notices things other people don’t. When Milo’s beloved gran succumbs to dementia and moves into a nursing home, Milo soon realises there’s something very wrong at the home. 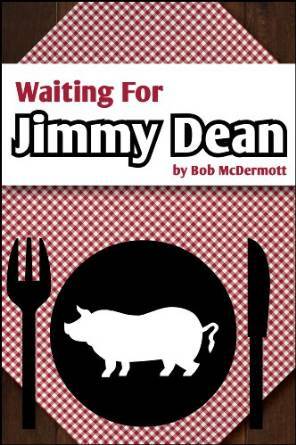 The grown-ups won’t listen to him so with just Tripi, the nursing home’s cook, and Hamlet, his pet pig, to help, Milo sets out on a mission to expose the nursing home and the sinister Nurse Thornhill. Insightful, wise and surprising, What Milo Saw is a novel filled with big ideas, simple truths and an emotional message that will resonate with everyone. Milo sees the world in a very special way and it will be impossible for you not to fall in love with him, savour every moment you spend with him and then share his story with everyone you know. Thanks to the publisher for providing me with a free copy in exchange for an honest review through Net Galley. It has already been suggested that readers of The Curious Incident… might enjoy this book, and I can say I have enjoyed both. 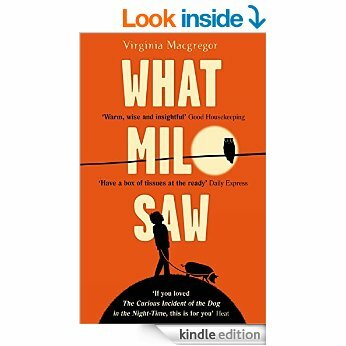 As other reviewers have noted, one of the main differences it that What Milo Saw offers a variety of points of view, not only that of nine year old Milo, but also his mother, Sandy, his grandmother Lou, Tripi, the Syrian chef at the nursing home (and an illegal refugee) and although the story belongs to Milo, we get other perspectives and a kaleidoscopic effect. One of the many strengths of the novel is Milo. He suffers from retinitis pigmentosa (that means he sees everything though a pinhole as it were, and eventually he will end up blind) and as many characters tell him, that allows him to focus and see things that many others miss. But despite how extraordinary and insightful Milo proves to be at times, he’s also a little boy. His placing his trust in somebody because of a passing remark, his catastrophizing and disappointment in adults in general, his black and white way of looking at things, his quick judgements and misunderstanding of situations, his enthusiasm and tantrums, the good and the bad, make him real and human. He is not a mini-adult; he is a believable and fully-fledged child. The adults in his life are living through crises and difficulties (his grandmother is losing her memory and physically unwell, his mother has not recovered from her husband’s abandonment and finds it difficult to get organised and carry on with life, and Tripi is desperate to find his sister but scared of being found out as an illegal immigrant) but Milo inspires them to never give up and to be a better version of themselves. Milo, his little pig Hamlet (growing suspiciously fast), Al (a Scottish undercover reporter and relative), Tripi, Sandy, all the residents and eventually even Mrs. Hairy and the whistling neighbour, join forces to try and bring down the horrible owner of the Forget Met Not nursing home, Nurse Thornhill. She is the bad witch of the fairy tales, although, unfortunately she might not be miles away from some real examples. The book’s style is smooth offering an easy read, and the language used is well adapted to the specific characters. 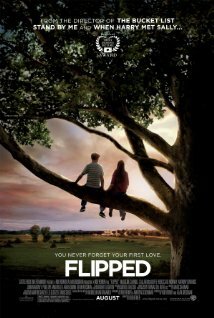 The protagonists are easy to root for (some irresistible from the beginning, like lovely Tripi, others grow into their own, like Sandy), and the novel achieves a communitarian and choral effect conveying and optimistic and life-affirming message. This is a touching and warm-hearted book, set up in a recognisable modern Britain (for good and bad) full of unforgettable characters and a fairy tale ending. A fabulous read I recommend wholeheartedly to anybody who likes little books with big stories. Thanks so much to Virginia Macgregor for her book, thanks to all of you for writing, and you can like, share, comment (although it will be a while before I can reply) and of course, CLICK! 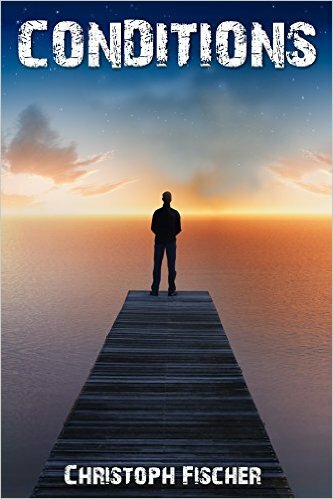 Thanks to I.B Taurus for providing me with a free copy through Net Galley in exchange for an honest review. Some historical figures have maintained a hold on people’s imagination for years. Napoleon is one of them. Mansel focuses on Napoleon’s court, its organisation, its style, its people, its excesses and its politics, to tell the story of Napoleon’s rise and fall. Despite Napoleon having started his military career under the auspices of the Revolution, he went on to create a monarchy. Mansel hypothesises (and makes a very good case) that his court was central to his success (and ultimately his failure), and the excesses that characterised such court (the palaces had to be bigger, the furniture more luxurious, the courtiers better dressed, the women prettier…) were an attempt at giving his endeavour a legitimacy that he felt he lacked, in comparison to other monarchs in Europe (and in France), who came from long dynasties of rulers. 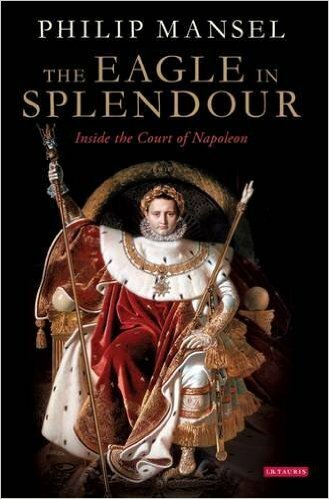 The book discusses other aspects of Napoleon’s life, including his family, his conquests, his battles, his personal life, but always with a focus on the court. Such focus serves the story well, allowing us to get to know many of the main players, the role they had played in previous governments, and what they did under Napoleon’s rule, and is peppered with quotes, that provide a more personal point of view and illuminate the character of Napoleon as seen by his courtiers. The only issue I have with the book is that it is perhaps not best suited for a digital version. There were problems with the formatting of the version I had that I imagine won’t be present in the final version, like strange word divisions, accents out of place, etc. The wonderful images of course are not resizable and although I can adjust the size of the letters so that I can read without glasses, I needed my glasses to see the images well. Also, having all the notes at the back and not being able to follow a clickable link made them difficult to check. Perhaps a chart with the main players and how they connected to each other would also be helpful (especially if it could be linked to the names), more so at the beginning of the book when the reader is not yet familiar with everybody. Although I haven’t read many books on Napoleon I felt that by the end of Mr Mansel’s book I knew the emperor and the man much better. I recommend this book to people who enjoy history and books about Napoleon in particular, and if you can, I’d suggest getting a paper copy as it might obviate some of the difficulties I found with the digital version. Thanks so much for reading, and you know, like, share, comment if you like (but I won’t be able to comment for a while) and of course, CLICK if you’re also fascinated by Napoleon. Ah, this review won me automatic approval from I.B.Tauris in Net Galley, and that means I can access any books they post there. I guess I’ll be reading more history and non-fiction books from now on… (In fact, I got another one, and it sounds fantastic! I’ll keep you posted!). Thanks so much to MsM for daring to review the first in my ‘Angelic Business’ series ‘Pink Matters’. And then still had the energy to interview me! You’re a star! Today is Friday and it’s guest author day. I have known R.E. McDermott (or Bob for his friends) for a while and had his book in my list to read for a very long time. We exchanged some information recently, including his contribution to my enquiries about paid promos, and I finally read his first book. And I thought as he hadn’t featured yet, I’d combine a post about him with a review. Two for the price of one! I grew up on the Gulf Coast and a seagoing career just came naturally. After graduation from the U.S. Merchant Marine Academy, I sailed as a ship’s officer for a number of years and then spent a decade in shore side ship management before becoming an independent (i.e. self-employed) marine surveyor in 1986. Some years later I formed a company specializing in ship construction management and supervision. I’ve been a lot of places, seen interesting things, and lived for extended periods in both South America and the Far East (Singapore and China). By far the most interesting aspect of travel (and life in general) is the people you meet along the way, and I’ve had the good fortune to encounter a lot of interesting characters. Bits and pieces of some of them make their way into the characters of my novels. I write the type of stories I like to read. For me, that means ordinary people forced by circumstances into extraordinary situations. I dislike stories in which the hero is some combination of brain surgeon/nuclear physicist (or who has some equally far-fetched skill set) and who just coincidentally happens to be an ace helicopter pilot and a fifth degree black belt in several different martial arts. Like the rest of us mortals, my characters are normal people who screw up from time to time and have to live with the results. I’m currently retired from the marine business and living in Tennessee with my lovely (and patient) wife of 39 years. Our current and mutual ambition is to return to Singapore for several months each year. In addition to writing and travel, I occasionally (when cornered) complete a task on my ‘honey do’ list, and from time to time, join my wife in badgering our children to produce grandchildren. All in all, a rewarding life. When marine engineer and very part-time spook Tom Dugan becomes collateral damage in the War on Terror, he’s not about to take it lying down. Falsely implicated in a hijacking, he’s offered a chance to clear himself by helping the CIA snare their real prey, Dugan’s best friend, London ship owner Alex Kairouz. Reluctantly, Dugan agrees to go undercover in Alex’s company, despite doubts about his friend’s guilt. Once undercover, Dugan’s steadfast refusal to accept Alex’s guilt puts him at odds not only with his CIA superiors, but also with a beautiful British agent with whom he’s romantically involved. When a tanker is found adrift near Singapore with a dead crew, and another explodes in Panama as Alex lies near death after a suspicious suicide attempt, Dugan is framed for the attacks. Out of options, and convinced the attacks are prelude to an even more devastating assault, Dugan eludes capture to follow his last lead to Russia, only to be shanghaied as an ‘advisor’ to a Russian Spetsnaz unit on a suicide mission. “An absolute cracker of a thriller, quite simply on a par with Clancy et al. When I’d finished I wanted more! A terrific story superbly written. What would happen if the great straits of the world were left out of action? How would petrol and other goods move around? This is the question at the heart of this novel, the first in the Tom Dugan’s series that focuses on a number of international secret agents (and some amateurs that get caught in the crossfire) who by default end up working together investigating a terrorist threat affecting the oceans. I must admit I know very little (being generous) about tankers and the ins and outs of high seas transportation, but that did not detract from my understanding of the plot or my enjoyment of the novel. We have Tom Dugan, a reluctant hero, an independent and fairly free agent, who is recruited because of his inside knowledge (he is a marine engineer) and because, through a friend, he becomes embroiled in the conspiracy. Although we don’t know him well (this being a series there should be time to get to know more about him), he has an interesting backstory, he is likeable and engaging, friend of his friends, honest and loyal. His friend, Alex Kairouz, is also a strong character, and especially his friend’s family, his daughter Cassie (a great character) and Mrs. Farnshaw are in a league of their own. And one of the strongest points for me was not only the many stranded plot, detailed enough to result convincing (and make you hope somebody is really organising a team to look after this aspect of international security), but the assorted and totally credible secondary characters. Even those who have a very small part (like the Turkish pilot), are unforgettable, and some, like Arnett, the female second mate, the whole of the Italian crew, and the Russian special forces team, deserve books of their own. Some of the baddies have their epic moments too, and you do get attached to the characters and by the end, care for them and with them. This is an ambitious novel that I recommend to people who like their adventures on a grand scale and who love complex and detailed stories. DUGAN THOUGHT SOMALI PIRATES WERE BAD NEWS. THEN IT GOT WORSE. As Tom Dugan and Alex Kairouz, his partner and best friend, struggle to ransom their ship and crew from murderous Somali pirates, things take a turn for the worse. 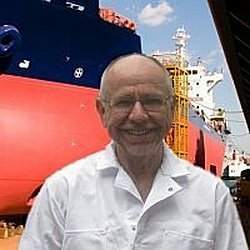 A US Navy contracted tanker with a full load of jet fuel is also hijacked, not by garden variety pirates, but by terrorists with links to Al Qaeda, changing the playing field completely. With a possible link between piracy and terrorism now in play, the US and British goverments order the halt of all negotiations for captive ships, and enraged pirates ratchet up the mistreatment of the captive crews. When one of their crewman is murdered in front of him on a live video feed, a frustrated Dugan takes matters into his own hands and starts his own rescue operation, only to stumble across something far more sinister — a rogue salvage operation for a long lost weapon of mass destruction. Isolated at sea on an old tanker previously destined for the ship breakers, Dugan and his hastily assembled little force of Russian mercenaries find themselves the last line of defense between the world and a terrifying bio-weapon. 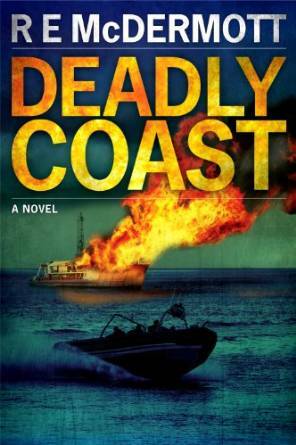 Weaving historical fact with speculative fiction, Deadly Coast takes the reader from London board rooms into the very real world of modern day pirates — and their victims. Here a review, and now that I know the Russians are back, I must read this book too! McDermott hits it out of the park with this book! 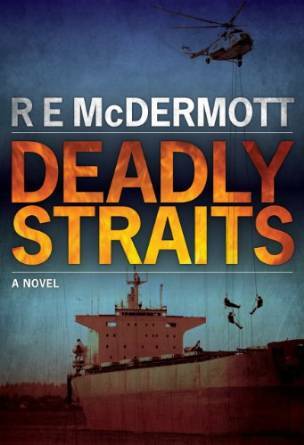 McDermott has hit it out of the park with his follow-up to Deadly Straits. We have the same players from Deadly Straits, but this time they are taking on the pirates in Somalia. What I love about McDermott is that the story could actually have happened. He takes fact, adds a little spice of fiction, and comes with an awesome recipe of a successful story. The Russians are back in action with this book, and they are funnier than ever. McDermott totally made me laugh out loud several times with the antics of the Russians. Fantastic book!!! Can’t wait for the next one. Thanks so much to R.E. for coming to visit my blog, thanks to all of you for reading, and you know, like, share, comment, CLICK…and don’t forget to read books!